Over the last several years, drones have become essential to the function and performance of various businesses and organizations. 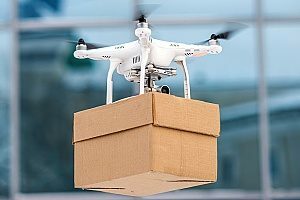 These unmanned aerial vehicles (UAV) open up brand new opportunities for companies, from delivering packages in record time to recording incredible image and video. Drones are not just limited to a few selection industries. They have been found increasingly useful in nearly all fields, from internet access to agriculture. However, while the functions of drones are nearly endless, there are some risks that come with using UAVs. Having drone insurance can help protect your business from drone-related claims. Drones play may vital roles in the workplace. They have the ability to increase work efficiency, boost production, and decrease workload and production costs for their human counterparts. They have also been useful in improving accuracy, resolving security issues, and streamlining customer relations. Whether controlled by a smartphone app or remote, drones can complete tasks not easily accomplished by man with minimal time, effort, and energy used. It is no wonder why drones have become a paramount component in personal, military, and commercial sectors. Although drones have now been around for more than two decades, they have recently shown great potential for both small and large businesses. Hundreds of companies, including major aerospace and aviation businesses like Northrop Grumman, Lockheed Martin, and General Electric, are making considerable investments of resources and time in the advancement of drone research and technology. By the end of 2018, the Federal Aviation Administration (FAA) estimates that there will be more than 1.2 million drones in the United States alone. This year has seen a number of professional-grade drones, such as the DJI Mavic 2 Pro, DJI Phantom 4, Yuneec Mantis Q, and DJI Mavic 2 Zoom. As the use of drones steadily increases, many businesses are realizing that there is a serious gap in coverage options. Responsible operators understand that although not common, unfortunate events can and do happen. Drones can become damaged, resulting in thousands of dollars in repair or replacement costs. They can also cause damage to a person or property, leading to liability issues. It is the responsibility of the drone operator and associated business to mitigate these risks. This often means investing in specialized aviation liability policies or adding onto existing commercial liability policies. The use of commercial UAVs has made it essential for operators to protect against personal and financial hazards. Not everyone needs drone insurance, such as backyard hobbyist who purchases drones costing less than $100. However, for most professional and commercial drone operators, having insurance is something that should be seriously considered. Drones contain many small and delicate parts, such as the camera which is especially prone to damage. If you are flying a drone and something goes wrong, such as a propeller breaks, the body or other components of the machine could become damaged. An accidental fall to the ground can lead to substantial repairs, especially if you own a more expensive UAV. Drone insurance can save you hundreds to thousands of dollars in the cost of repairs or replacement if your drone becomes damaged. If you fail to have the proper insurance for your drone, you could find these costs coming out of your own pocket. You will also want to consider liability protection. While you never expect for your drone to cause injury or damage to a third party, it happens. If you lose power of the drone and it falls on someone, you could be held liable for any medical costs incurred. Your drone could also fall and hit a piece of property, such as a vehicle. Depending on how fast the drone fell and where on the car it hit, you could be responsible for a substantial amount in repair costs. 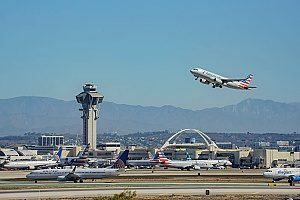 You could also become sued for flying over a restricted airspace or invading a person’s privacy. Liability insurance is designed to cover these types of occurrences. If you fly a drone in an area that has people or property, having insurance is a must. If a business uses drones for commercial work, operators may be required to have insurance. General liability is not always enough to keep businesses protected from drone-related incidents. Specialized drone insurance is an essential investment for any company that uses drones for commercial purposes. The amount of coverage that you need will depend on a number of factors, such as the industry that your business is in, who your customers are, and how much you have in assets. Companies that can prove that they have high standards of training and management may qualify for better rates. 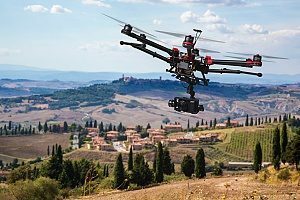 If you own or operate a commercial drone, contact reputable entertainment insurance brokers to learn more about drone insurance or to apply for a policy.